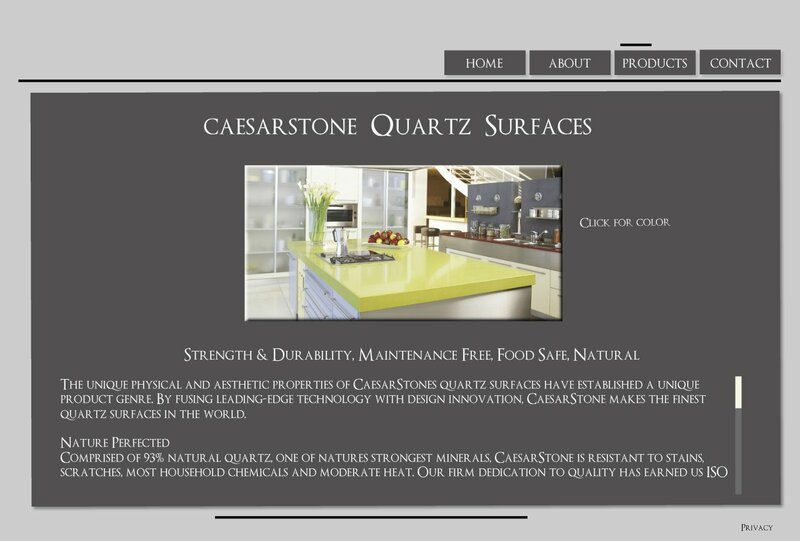 The unique physical and aesthetic properties of CaesarStones quartz surfaces have established a unique product genre. By fusing leading-edge technology with design innovation, CaesarStone makes the finest quartz surfaces in the world. Comprised of 93% natural quartz, one of natures strongest minerals, CaesarStone is resistant to stains, scratches, most household chemicals and moderate heat. Our firm dedication to quality has earned us ISO 9001 certification. CaesarStone never needs sealing, and its hard, nonporous surface makes cleaning simple. In most cases, soap and water or a mild detergent are all that are required to keep your caesarstone countertop looking like new. CaesarStones innovative development team continually creates breakthrough color and quartz designs that influence trends and inspire creative applications. The unique properties and durability of CaesarStones quartz surfaces allow for a wide range of edge profile design options. CaesarStones quartz surfaces retain the cool, tactile qualities of natural stone with aggregates ranging from fine to coarse-grained color blends for varied visual texture.Three finishes expand the design possibilities even further: polished, honed (matte) and textured.